WHITE TWP., Pa. — Despite a 5-0 playoff loss to Delaware that ended the Panthers’ season on Saturday, it was still a successful sophomore campaign for the Pitt women’s ice hockey team. Pitt has already seen success in the ACHA at the men’s Division-1 level, where the Panthers have won two straight regular season championships and the national tournament berths that come with that honor. So, it was no surprise that in their second season, the Pitt women’s hockey team ended the 2017-18 campaign as the 8th-ranked Division 2 team in the ACHA East. While that isn’t high enough for a national tournament appearance (only the top six from the east and west get invitations, or the conference regular season champions), the Panthers still had their sights set on gold. Unfortunately, the Panthers couldn’t stop the Blue Hens’ high-powered offense. 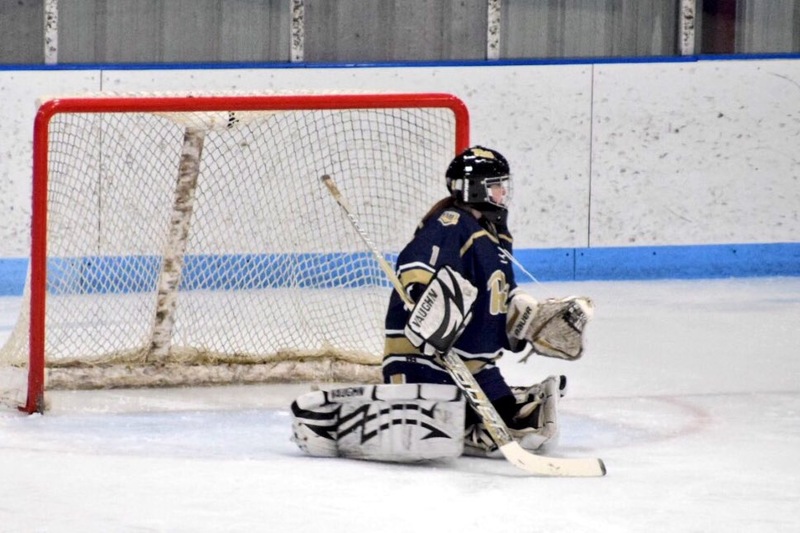 Graduate transfer goaltender Katie Pucci faced a barrage of 45 shots on goal, while Pitt was only able to muster 12; two of which came in the first period, seven came in the second period, and three in the third period. Delaware thus advanced to the CHE finals to face the winner of Buffalo and Liberty.